In today’s business world, corporate social responsibility (CSR) has become an important element in business strategy and helps companies rise to the top as leaders. 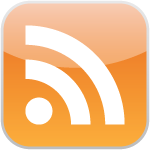 CSR also influences employees, customers and stakeholders’ loyalty to an organization or company. At SJ Marketing, a part of our CSR is giving back to our Tahoe community. Over the years, we have helped numerous non-profits with their marketing needs, including Boys and Girls Club, Tahoe Truckee Community Foundation, Parasol Foundation, Sage Ridge School, Tahoe Safe Alliance, and Summerfest. 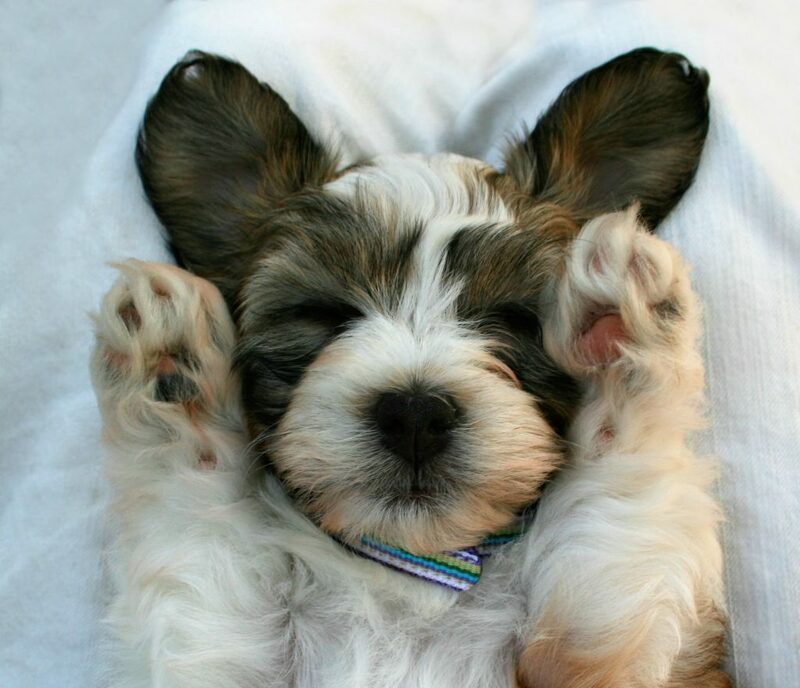 We are very excited about the upcoming year of giving. For 2016, the SJ team voted to support Kids & Horses located in Minden, Nevada. 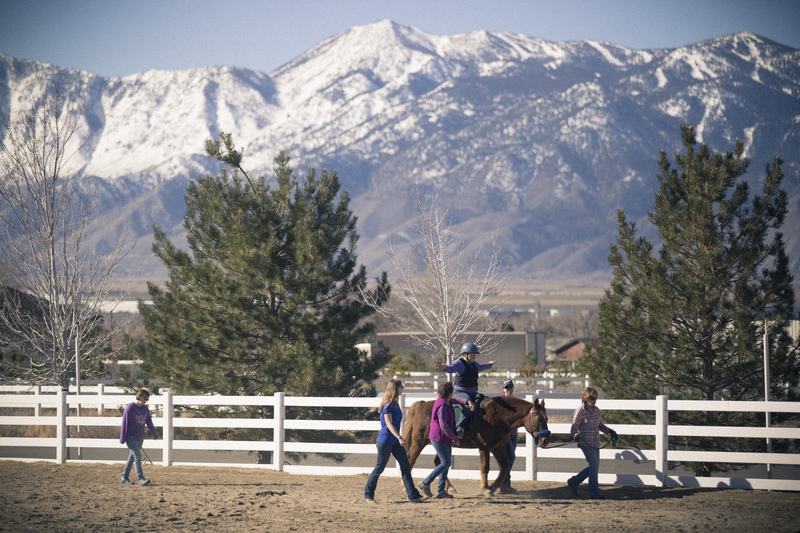 Kids & Horses is one of only two premier PATH-certified therapeutic riding centers in Nevada and is not only helping kids, but also adults and veterans. The center works with individuals of all ages facing a broad range of challenges, including paralysis, multiple sclerosis, autism, muscular dystrophy, down syndrome, cerebral palsy, traumatic brain injury, learning disabilities, and stroke. Although the ranch is in Minden, their history started in our local community of Incline Village, Nevada. Sam and his wife Lorri Waldman came to Incline Village in 1996. Sam was a local business owner, and despite his busy work life, he found the time for charitable deeds. In 1999, Kids & Horses was born. This year, the center is adding new therapists and hippo therapy to its offerings. Hippo therapy differs from therapeutic riding in that it uses the horse as a movement assistant for functional outcomes. The rolling gait of the horse effectively exercises human core muscles and provides sensory input. The therapist can address disabilities through modifying the horse’s rhythm, tempo and cadence. The client experiences direct, hands-on contact by the therapist during the entire session. Kids & Horses is the only riding center offering hippo therapy in northern Nevada. April is National Autism Awareness month and this Friday, April 15, the ranch is hosting an open house to showcase the improvements they have made and introduce you to their staff and volunteers. Appetizers and drinks will be served, so please RSVP before April 13: kidsandhorses.org/openhouse or call Joanna at 775-772-6112. For additional information or to set up a tour of the ranch, to donate, to volunteer, or to become a client, email info@kidsandhorses.org or call (775) 267-1775. Also, visit Kids & Horses on Facebook to stay up to date on the organization and goings on at the ranch. March 7, 2015 (MINDEN, Nev.) Kids & Horses Therapeutic Riding Center is adding new therapists and hippotherapy to its offerings. The center works with individuals, of all ages, facing a broad range of challenges including paralysis, multiple sclerosis, autism, muscular dystrophy, Down syndrome, cerebral palsy, traumatic brain injury, learning disabilities, and stroke. 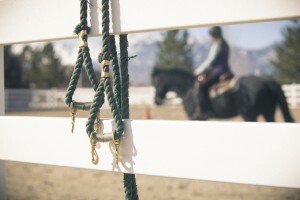 It is the only riding center offering hippotherapy in northern Nevada. 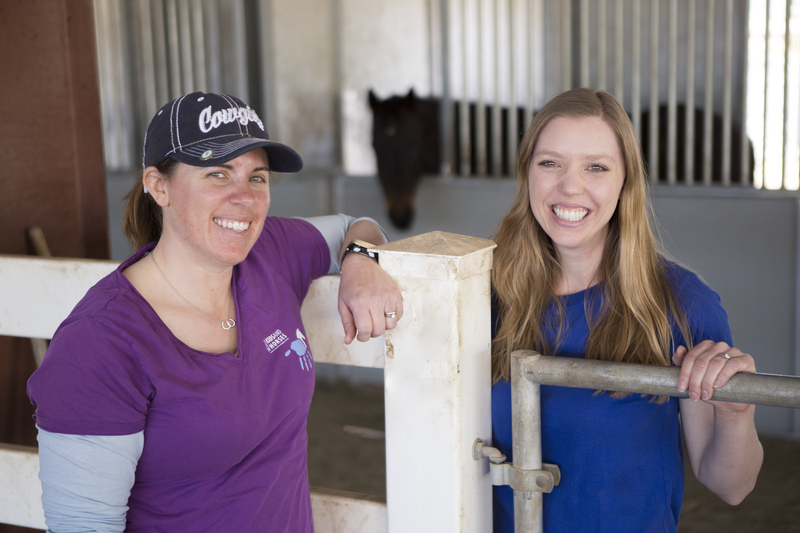 Left to Right: Kids & Horses Physical Therapist Erin Vaillancourt and Occupational Therapist Amy Schelert. Joining the Kids & Horses staff are Physical Therapist Erin Vaillancourt and Occupational Therapist Amy Schelert. Hippotherapy differs from therapeutic riding in that it uses the horse as a movement assistant for functional outcomes. The rolling gait of the horse effectively exercises human core muscles and provides sensory input, Vaillancourt explained. The therapist can address disabilities through modifying the horse’s rhythm, tempo and cadence. The client experiences direct hands-on contact by the therapist during the entire session, and most medical insurance policies recognize it as a coverable physical therapy. Although the minimum age for therapeutic riding is 5, Vaillancourt said hippotherapy can be a treatment strategy for children as young as 2 years old, and those with severe limitations that preclude their participation in therapeutic riding are likely to be able to participate in hippotherapy. Schelert’s experience includes pediatric clinic and elementary school occupational therapy as well as an internship with the National Center of Equine Facilitated Therapy. She is a certified instructor with the Professional Association of Therapeutic Horsemanship International (PATH) and has taught therapeutic riding. Schelert will be using the horse to improve motor control, coordination, balance, attention and performance in daily tasks. “This therapy helps develop more independence in life whether it is at work, school or for a functional activity of living,” Schelert said. Schelert said one of her clients, who could not concentrate at school, improved his attention skills after therapy and was reassigned to a general population school class from a special needs class. Speech and language pathology can also be effectively combined with the use of a therapy horse. Kids & Horses is currently searching for a qualified speech therapist. Kids & Horses is a non-profit organization. All services are provided at no or only partial cost to the students. People wishing to support therapeutic riding for local special needs children and adults can donate through the website http://www.kidsandhorses.org/donate/, to either the general operations, scholarship, or capital campaign funds. 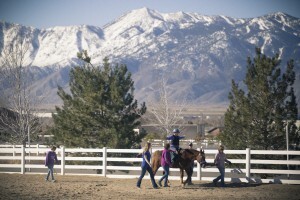 Kids & Horses is located south of Carson City on Esaw Street and Stephanie Way in Minden, Nev. The therapeutic riding program began in 1999. Kids & Horses, Inc. purchased the ranch in 2013. The ranch property houses the therapy program horses as well as boarding for privately owned horses. Kids & Horses is the only PATH (Professional Association of Therapeutic Horsemanship International) Premier Accredited Center in northern Nevada. For additional information, a tour of the ranch or to become a client, contact us at info@kidsandhorses.org or (775) 267-1775. Visit us on facebook or at www.kidsandhorses.org. Mail at 2869 Esaw Street, Minden, NV 89423. Kids & Horses, Inc. is a 501(c)(3)company.